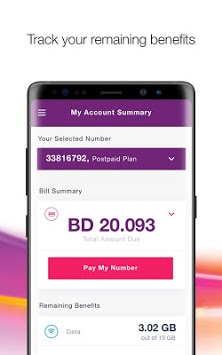 Download VIVA BH App to easily manage your VIVA account. 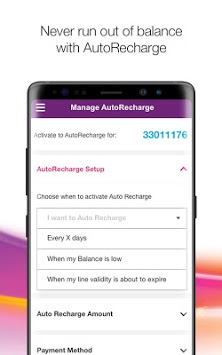 Monitor your usage, pay your bills or top-up your prepaid lines. VIVA App provides you with the latest offers and promotions and enables you to locate the nearest VIVA store to you and much more. 1. Account Summary: Get latest updates about your VIVA account, usage & payments. 2. Quick Pay: Pay all your bills and recharge all your Prepaid lines in one transaction. 3. My Services: View your current Add-ons and activate or deactivate them. 5. Contact Us: ask questions, submit queries or ask for support. 6. VIVA Rewards: Enroll to our pointing program and get amazing gifts. 7. Store Locator: view all VIVA stores & their working hours. Minor bug fixes and security improvements.